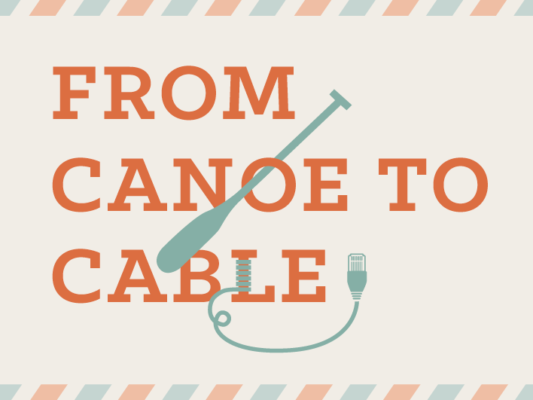 From Canoe to Cable is an exhibition that chronicles the movement of information over distance and through time, with a focus on how Toronto residents obtain their news. When the British Crown made what was known as the Toronto Purchase from the Mississauga First Nation in 1787, postal service did not extend west of Kingston. Twenty-five years later, a Montrealer might wait three months to receive a reply from a letter to York. As late as 1911, news of Norwegian explorer Roald Amundsen’s arrival at the South Pole requires 85 days to reach Toronto residents and when the Internet first emerges in 1994, only 90 users can access the Toronto FreeNet at any given moment.